One of the most popular types of quail that is desired by hunters is the Bobwhite Quail. The popular Bobwhite quail species is raised on quail farms to accommodate the needs of backyard hobbyists and quail hunters. There are many varieties of Bobwhite Quail. Some of most common are the Tuxedo, Blonde, Silver and Tennessee Bobwhite quails. Bobwhite quails lay eggs in large quantities, typically 15 at a time, possibly more depending on how and where the Bobwhite quail are raised. Farm raised Bobwhites can yield more than the wild Bobwhites. There are several tips to follow to ensure the Bobwhite breeder will have a successful hatch of this popular quail species. The Bobwhite quail eggs for hatching should be collected and removed from the place they were laid several times throughout the day. Prepare a certain time of day to perform this task. This should be done at a minimum of three times daily. Keep the Bobwhite quail eggs in a flat similar to plants. The flats should be in a location that is controlled related to the temperature of the environment. Low humidity is required, maximum 70% and temperature at approximately 60 degrees on the Fahrenheit scale. Do not use an incubator for the hatching Bobwhite eggs for at least seven days after the eggs are laid. Using the correct type of incubator will increase the success rate of hatching Bobwhite quails. Select an incubator that uses forced air for hatching a larger collection of fertile quail eggs. The unit should be available for use before buying eggs for hatching. Preparation is they key. The incubator temperature should be at around 99 degrees. The humidity level in the incubator should be 86 degrees. Quality of incubators will vary so select appropriately to meet your needs. Another important factor is to keep the wet bulb wick clean to prevent an environment reading that is not correct. The wick must be cleaned regularly. Just like with a toothbrush, replacements are required periodically. An incubator is used to hatch the quail egg. The timeframe is approximately 3 weeks for a bobwhite quail to emerge from the egg shell. Proper planning is the key successfully breeding bobwhite quails. Two types of coops are available to choose for your quails, the ground coop or the wire floored coop. Ground pens are not recommended as they can cause diseases and spread disease as well. Ensure all equipment is available before supplying quails. A quail breeder will need an incubator, a coop and of course a brooding section to put the quails’ coop. 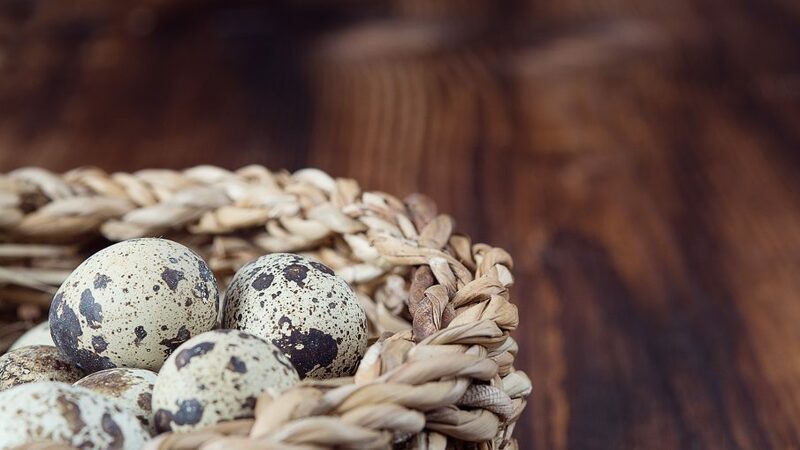 Instead of purchasing live quails, the recommended, cost efficient option is to invest in quail eggs. Having knowledge is important to successfully breed and raise the birds. When more information is available, the hatching yield rate will be much higher. Finished reading about how to raise Bobwhite quail? Learn more about other types of backyard quail, in our free quail article library!